Sometimes it’s possible to achieve multiple outcomes at the same time. Through government assistance, a Melbourne community has been able to harvest water for use in their gardens in return for reducing storm water run off and, thereby, improving water quality in a local waterway. This project, run in the Elster Creek catchment in Elwood, Melbourne, highlights the significance of good water management and shows what can be achieved when we value collective action. Conserving such a precious resource as water has become a major global issue, but at the cutting edge of gardening it’s also a crucial consideration. The Well Waters Project, a $150,000 project funded by the Victorian Government, aims to mitigate the effects of flooding in the area and to clean up water in the Elster Creek catchment. It has engaged community participation by providing rebates for the introduction of water tanks and rain gardens and has brought huge benefits, to plants, animals and people. Originally swamp land, the Elster Creek catchment covers around 40sq kilometres with water flowing (some of it underground) through areas in the City of Port Phillip, Bayside City Council and Glen Eira and Kingston Councils. 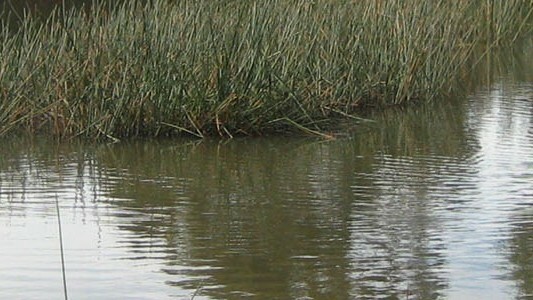 It has suffered regularly from flooding and the aftermath of urban storm water — which is a serious pollutant for many of Melbourne’s waterways. 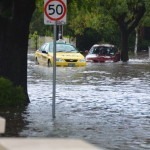 On some occasions in the past, heavy rains have meant that the Elwood Canal, through which storm water is directed to Port Phillip Bay, has been insufficient to cope with the flow causing local flooding. According to Melbourne University’s Professor Tim Fletcher, an expert in urban ecohydrology, by harvesting rainwater and infiltrating it in the urban landscape through rain gardens and storage tanks, run-off can be reduced and water quality of storm water significantly improved. The project was conceived, and has been managed, by the Port Phillip EcoCentre, an impressive organisation set up sixteen years ago inside the St Kilda Botanic Gardens which provides “a focus for groups and individuals to share knowledge and resources … maximising positive environmental action”. 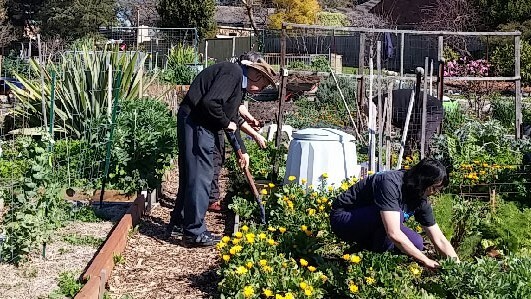 The EcoCentre has worked with hundreds of schools from Early Learning to Tertiary Level and its garden is run entirely by volunteers – “an example of environmental action in practice” is how they put it. Raising awareness about the Well Waters Project and water problems has included information nights, clean-up days and an audit of the local bird population. 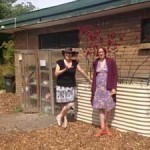 Residents – individuals or groups in unit blocks and organisations, including schools – are encouraged to introduce a water tank or a rain garden in return for donating volunteer hours: for this they receive a $25 hourly rebate towards any installation (http://www.wellwatersworkbees.com/). What becomes evident as well through this project is the growing popularity of domestic water tanks. Nowadays they have even moved into high-design circles, though they can also be purchased for quite modest amounts in coloured steel and adaptable sizes and shapes to fit anywhere – maybe tucked away beneath decks or situated in a narrow passageway not being effectively used. Buy your tank as big as you can afford as long as it fits comfortably (the bigger the roof the more unpolluted water you will be collecting). During water restrictions the true value of the tank is evident, especially for food-crop growers. Just remember to test tank water each year for toxicity, and try to keep them free of animal droppings and the like. This project highlights the value of searching for funding opportunities. It’s worth exploring local and state government options as well as those with philanthropic organisations, some of which have a variety of small grants available for community initiatives.